I just upgraded to macOS Mojave and noticed something weird. 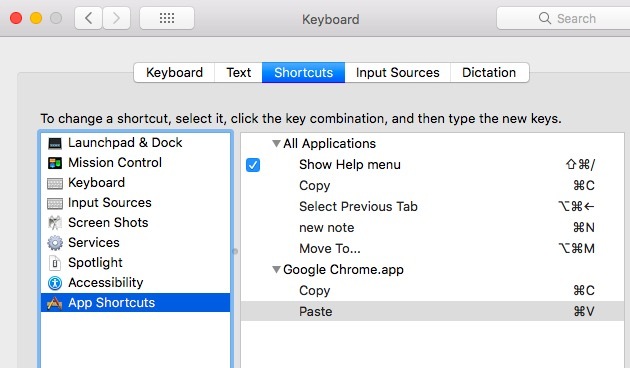 When using Google Chrome, I cannot copy and paste with keyboard shortcuts. I thought maybe the keyboard was broken, but it works in other apps. I can copy and paste using the Edit menu or by right-clicking, so the contents are definitely getting copied. Chrome is up to date. I assume if this was a widespread issue, they would've fixed it by now. Any idea of how to fix this or what might be happening? Just for fun while we are waiting for Google - Chrome to fix it. If you do not know how to do that let me know. Not the answer you're looking for? Browse other questions tagged macos google-chrome mojave . Weird El Capitan interface / icon glitch - clear cache? Why did my Command + V (to paste) suddenly stop working?